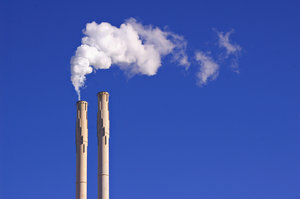 Smokestacks at an oil refinery. I hope people find these photos useful. I endured an altercation with several overzealous security guards and a local sheriff while shooting these photos.Here is the story...http://www.eastbayexpress ..